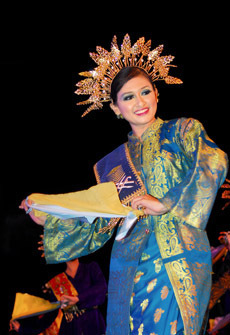 Inspired by Malaysia’s rich and exotic heritage, the Cultural Night Tour not only showcases the country’s abundant allure and beauty, but also showcases its ancient traditions mingled with cosmopolitan appeal. The tour kicks off with a visit to the vivacious Chinatown; known to locals as Petaling Street, this avenue plays host to plethora of vendors selling fruits, merchants peddling fake label goods and hawker stalls selling local delicacies. Next up, is the Sri Mahamariamman Temple; dating from 1873, this historic temple is a large and ornate house of worship for the Hindu community of KL – be sure to take in the sight of the huge silver chariot that’s paraded to Batu Caves during Thaipusam. The tour wraps up with a delicious dinner at a local restaurant followed by a colourful Malay cultural performance certain to delight the whole family.